Brain depicting mental illness. 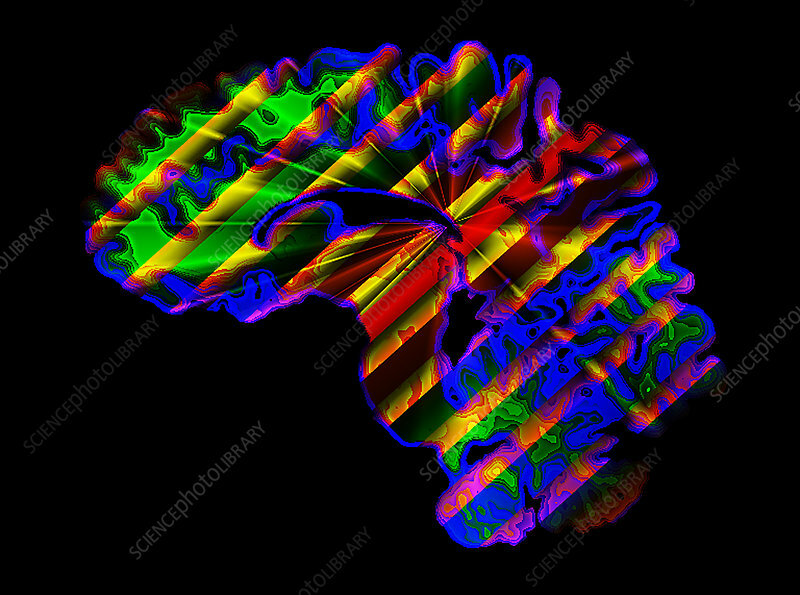 Computer graphic of a human brain cut through in side view, with an assortment of colours and an explosive effect. It may depict hallucination, schizophrenia or the sudden effect of nervous breakdown. Schizo- phrenia (split personality) is characterised by a disintegration of logical thinking, of emotional response, and loss of contact with reality. Perceptions of the outside world are mistaken and hallucinations may occur. This image may also depict multiple personality disorder, the development of two or more personalities.